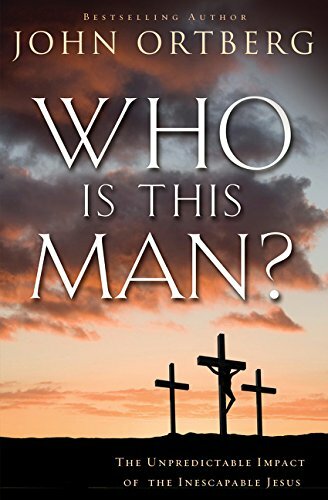 A powerful book has been written on Jesus, "Who Is That Man?" by John Ortberg. He writes, "When Jesus died, his tiny failed movement appeared clearly at an end...Yet today, every time we glance at a calendar or date a check, we are reminded that chronologically at least, this incredibly brief life has become somehow the dividing line of history." Ortberg correctly asserts, "It is in Jesus' name that desperate people pray, grateful people worship, and angry people swear. From christenings to weddings to sick rooms to funerals, it is in Jesus' name that people are hatched, matched, patched, and dispatched." More fundamentally, the Jesus movement inspired the creation of libraries and even universities - Oxford, Cambridge, Harvard and Yale and virtually the entire Western system of education. Indeed, the "insistence on universal literacy would grow out of an understanding that this Jesus, who was himself a teacher who highly praised truth, told his followers to enable every person in the world to learn." For centuries, only the affluent few were taught to read. All were males. Ortberg is correct that "The belief that all people are made in God's image" was the inspiration for the U.S. Declaration of Independence which declares, "We hold these Truths to be self-evident: That all Men are created equal, that they are endowed by their Creator with certain inalienable Rights, that among these are Life, Liberty and the Pursuit of Happiness." Aristotle did not think all men were created equal. He wrote that masters and slavery was the natural world: "For that some should rule and others be ruled is a thing not only necessary but expedient; from the hour of their birth, some are marked out for subjection, others for rule." By contrast, some children were brought to Jesus by their parents. The disciples rebuked the parents. However, Jesus rebuked his disciples, "Let the little children come to me, and do not hinder them, for the kingdom of heaven belongs to such as these." However, Jesus was not always compassionate. Ortberg notes that in all four Gospels, Jesus confronted people exploiting the poor in the temple. He took out a whip and drove them away, scattering their money, overturning their tables, saying: "How dare you...You snakes! You brood of vipers! How will you escape being condemned to hell?" One of Jesus' most famous quotes: "I was hungry and you gave me something to eat. I was thirsty and you gave me something to drink. I was a stranger and you invited me in...Truly I tell you, whatever you did for one of the least of these brothers and sisters of mine, you did for me." In the third century, many suffered from leprosy. Ortberg reports that a church father named Basil had an idea: "What if we build a place to love and care for lepers? They don't have any money...We'll raise the money." That may have inspired his brother, Gregory of Nyssa, who was also a bishop, to preach a sermon: "Lepers have been made in the image of God. In the same way you and I have, and perhaps preserve their image better than we...Let us minister to Christ's needs. Let us give Christ nourishment. Let us clothe Christ..."
Ortberg reports, "That was the beginning of what would come to be known as hospitals. The Council of Nyssa (the same council that affirmed the Nicene Creed) decreed that wherever a cathedral existed, there must be a hospice, a place of caring for the sick and poor." Another follower of Jesus, Jean Henri Dunant, couldn't stand the sound of soldiers crying on battlefields after they were wounded. This Swiss philanthropist created an organization in the 1860s that "became known as the Red Cross. Every time you see the Red Cross, you are seeing a thumbprint of Jesus," writes Ortberg. John Newton was forced to serve at sea as a young boy. He worked for slave traders that captured black Africans and sold them in England and America. Then he experienced a spiritual conversion, became an Anglican vicar and wrote the song, "Amazing grace, how sweet the sound that saved a wretch like me." William Wilberforce, a British politician, was converted and came to John Newton for career advice. He was tempted to leave politics, but Newton urged him "to stay and devote his life to the abolition of slavery," Ortberg reports. He introduced his first bill opposing slavery in 1787, which was defeated. But in 1833, a month before Wilberforce died, Parliament outlawed slavery. Ortberg offers inspiring answers to his question: "Who Is This Man?" Copyright (c) 2018 Michael J. McManus, President of Marriage Savers and a syndicated columnist. To read past columns, go to www.ethicsandreligion.com. Hit Search for any topic.